After a three month-long recall and some serious retooling, the GoPro Karma Drone is finally back on shelves. 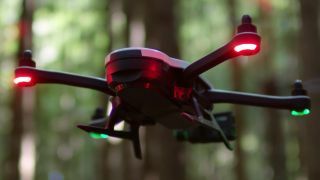 GoPro announced in a press release that it has redesigned the faulty battery latch that caused its drones to lose power and suddenly fall from the sky during mid-flight. The company also states the updated Karma drones went through “extensive testing” to ensure future failures don’t occur. For now, GoPro is only reintroducing the Karma drone on its own website and select retailers (including Best Buy, B&H and Amazon), though we imagine international availability will be coming back soon. The Karma drone returns with its original pricing of $1099 (£999, AU$1,649) with a GoPro Hero 5 or without a camera for $799 (£719, AU$1,195). GoPro has also added a few new SKUs including a $599 (about £470, AU$790) Flight Kit package that includes everything but the Karma grip and gimbal for users who purchased one separately. Alternatively a newly added Karma core – which is essentially the drone by itself without a controller, gimbal or backpack – comes priced at $399 (about £320, AU$530). To say the least the Karma drone and GoPro has been through a bumpy ride. After years of development, the company had to recall 2,500 sold Karma drone units while DJI introduced one of its most impressive and smallest drones yet with the Mavic Pro. However, we’re hoping for a big comeback from GoPro and the Karma drone might be just be the thing to dethrone DJI as the king of drones.